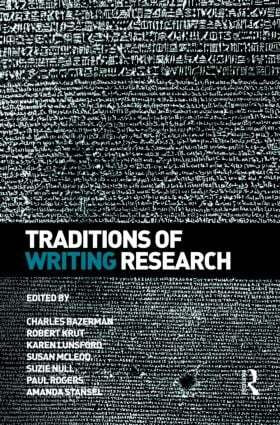 The volume's opening section presents writing research agendas from different regions and research groups. The next section addresses the national, political, and historical contexts that shape educational institutions and the writing initiatives developed there. The following sections represent a wide range of research approaches for investigating writing processes and practices in primary, secondary, and higher education. The volume ends with theoretical and methodological reflections. This exemplary collection, like the conference that it grew out of, will bring new perspectives to the rich dialogue of contemporary research on writing and advance understanding of this complex and important human activity. Can archived TV interviews with social sciences scholars enhance the quality of students’ academic writing?